I picked up a pile of well thumbed Graphis Annuals last week - 1954, 1959, 1961, 1962, 1963, 1964, 1965, 1966, 1967 and 1977. I spent many an hour, many years ago, at Manchester's All Saints Library, photocopying and lusting after these. So it was a pleasant surprise to find a huge pile that could now sit next to my desk. Predictably, there's a amazing wealth of graphic & illustration work inside, little of which has been reproduced elsewhere. This seems like a good excuse to lift the lid on the scanner and blast some light on the pages. So, if this kind of stuff floats your boat, you might want to follow this blog, or follow my Facebook group for updates over the coming days & weeks. NB. 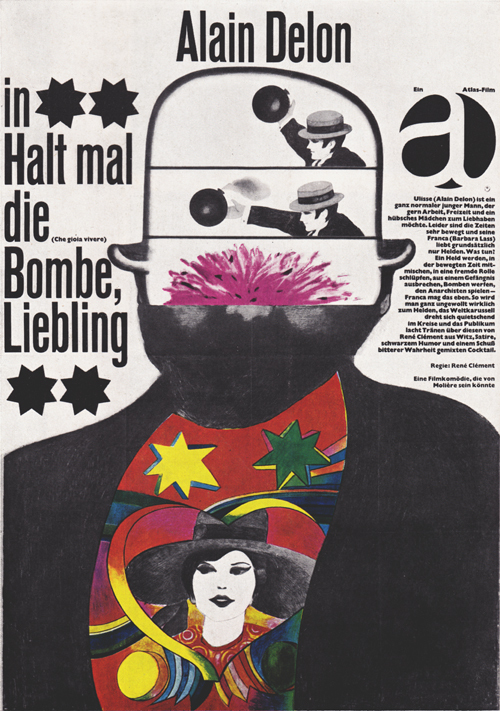 This particular Graphis gives very little information about each work, or necessarily the year (in that, they may not all be from '66/67 despite being in the '66/67 annual) but the artist / art director are named. The first scan, above, is by Eliezer Weishoff (1938-), a celebrated Israeli artist, who primarily is a sculptor, but has also produced paintings, posters, prints, stamps and coins. 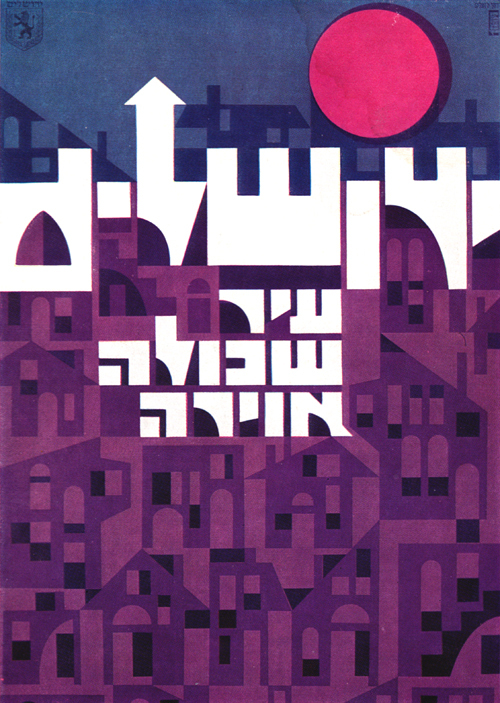 This work, is a tourist poster for the city of Jerusalem. The buildings as 'letters' say "A city that is all atmosphere." Grain Edit has a few more bits of his work. 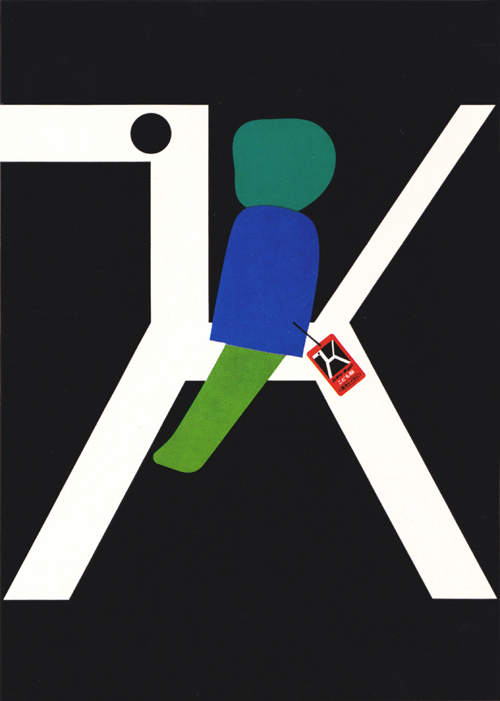 Martti A Mykkänen (1926-2008) was a Finish / Swiss graphic designer who was particularly known for his book cover design, as well as posters. This is a tourist poster for the Finnish town of Turku. 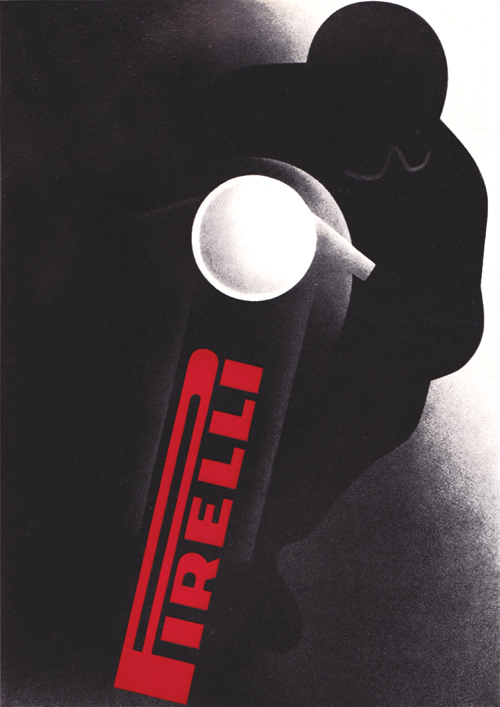 An Italian poster by Gerhard Forster for Pirelli. I can imagine this looking pretty striking, big, on a billboard. But, never the less, it comes across as a strangely depressing sort of speed and safety, rather than one you want to buy. 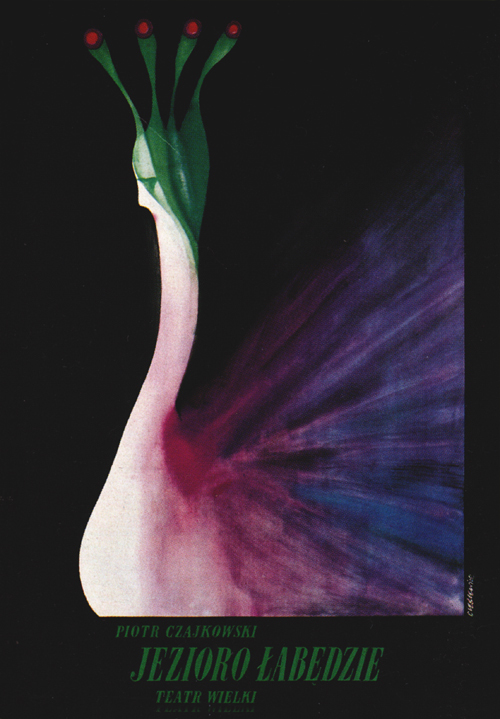 A poster for Nippon Rayon's children's clothes by the Japanese sculptor, graphic artist and poster designer Shigeo Fukuda (1932-2009). 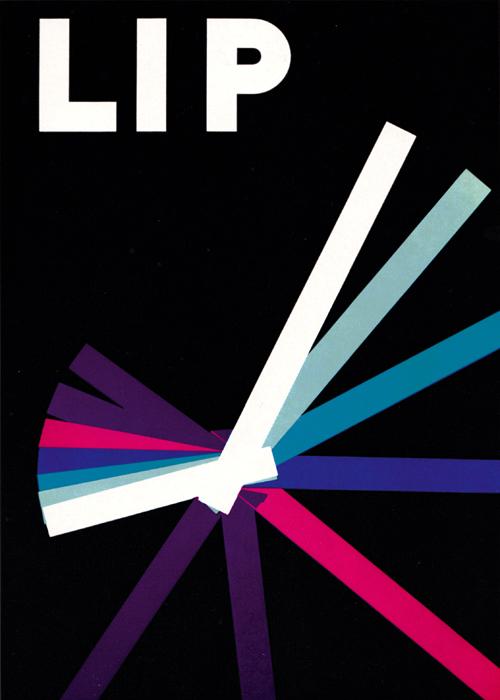 Fukuda was inducted into the Art Directors Club Hall of Fame in 1987, he was the first Japanese designer to be so. 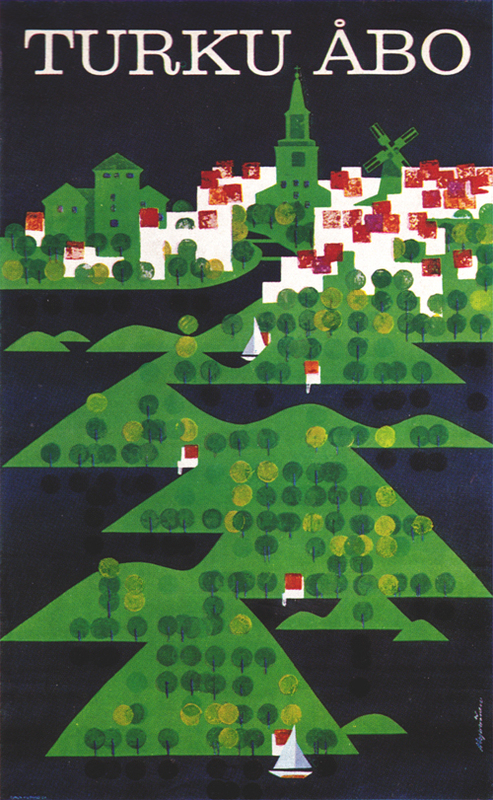 I may well do an article in the future about Jacques Auriac (1922-2003). 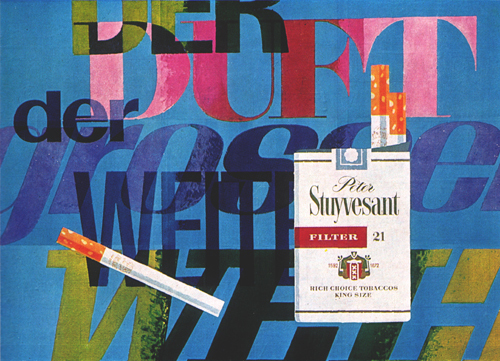 An Award winning French poster artist responsible for over 600 posters. 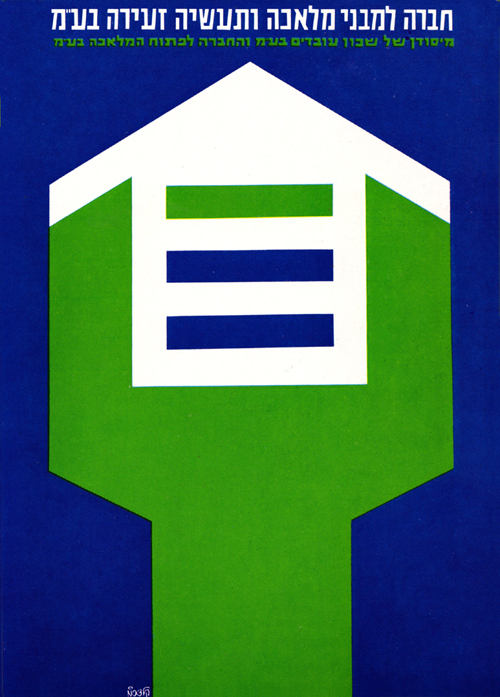 Poster for a building contractor by Israeli graphic designer and artist Asher Kalderon. 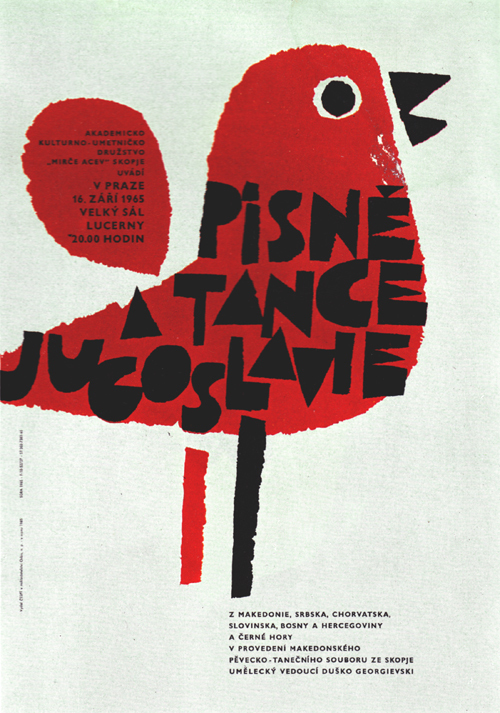 Poster for Swan Lake by the genius Polish graphic artist and photographer Roman Cieślewicz (1930-1996). More about him another time, certainly.